Securely sync, store and share important files from anywhere anytime. OneDrive for Business offers native desktop, browser and mobile experiences on your devices. Work smarter & faster with anyone. OneDrive for Business enables real-time co-authoring in famous desktop apps like Word and PowerPoint, and saves you time. In-app sharing feature in Onedrive for Business enables every employee to share and set specific access permissions for their important files, based on the organization’s settings. 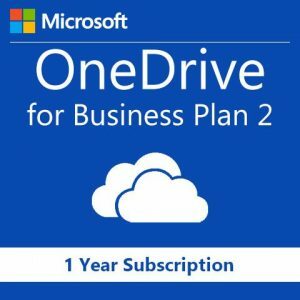 Microsoft OneDrive for Business come in three different plans — OneDrive for Business Plan 1, OneDrive for Business Plan 2, and Office 365 Business Premium. The major differences between the One Drive for business plans are the storage limits, features such as data loss prevention, and the availability of office 365 apps such as Word, Excel, and PowerPoint. You can buy OneDrive for business from Office 365 reseller in India – Wroffy Technologies, Wroffy is Microsoft Authorized Partner in India and cloud solution provider. Buy OneDrive for Business Storage – Sync, store and protect your work files while accessing them across multiple devices with ease. Share your important files with colleagues and clients as needed and collaborate on Office documents together in real time from anywhere and anytime with the latest Office desktop, web, and mobile apps. Easily Sync your files to your local computer using the OneDrive for Business sync client. OneDrive for Business with Microsoft Office 365 ? Work with anyone, anywhere, anytime. Buy OneDrive for Business Storage for your organization, with Onedrive every person can easily store, sync, access, and share their files in their personal cloud storage space. OneDrive for Business gives organizations a secure and reliable cloud platform for document storage and sharing within or outside their organization or even with external clients. As an integral part of the Microsoft Office 365 and SharePoint Server, OneDrive Business boasts of the advantages and support of the Microsoft network. Also, Microsoft SharePoint is a widely used famous platform by millions of business around the world for massive collaborative processes. Users have total control on Workflows, Versioning, Content Approval, Document Template and depending on the organization’s permissions, users can also share files with partners outside of their company’s network. OneDrive for Business also offers its users is that it is made to work with many third party applications and systems. Not sure which OneDrive for Business is the right file sharing software for you? Our expert team can help you choose one.